As the crypto-pioneer returns above $4,000, altcoins are following-up with a speedy recover from the previous drop that occurred last week and not stopping while going for the November highs  despite that the pair BTC/USD is battling all-day to overcome the major $4,100.00. 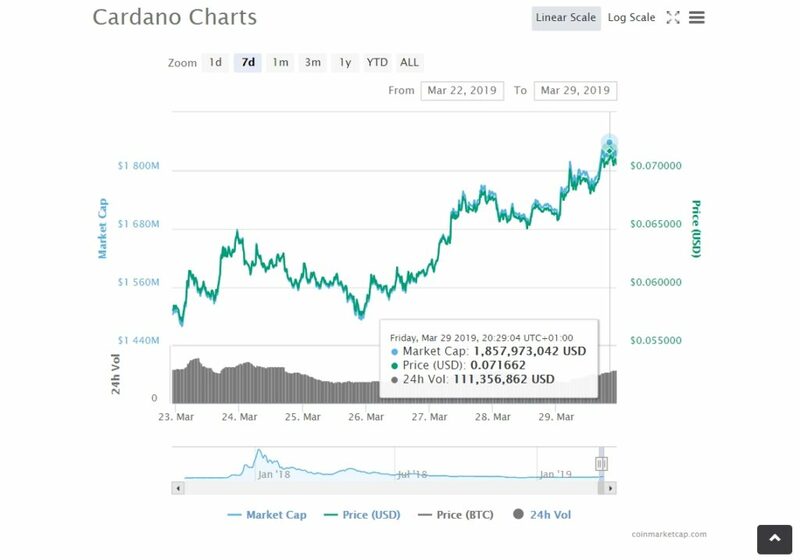 Outstanding is Cardano’s ADA/USD performance for the past days signaling how supportive the community is of the optimistic vision that its team set forward despite the hindrances met [with the public letters of disappointment published towards Cardano Foundation which set in motion the later-on changes in the leading board of the team] as IOHK, the team in charge of the development of Cardano (ADA), just announced the release of Cardano 1.5, satisfying the expectations of the community which directly was reflected with the upcoming days experiencing gain in value against the US Dollar. Last time the pair ADA/USD reached the $0.0700 level was in the end of Nov, 2018. 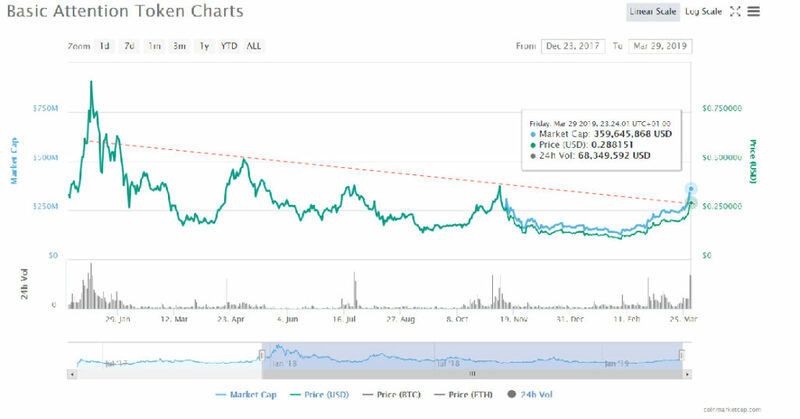 When it comes to double digit gainers – the 18th ranked cryptocurrency by market capitalization TEZOS XTZ is among the highest with 18.77% only in the last 24-hours as it is changing hands with USD at $0.9382 and potentially testing the important $1.0000 below which the pair XTZ/USD dropped back mid-November – five months ago. The momentum as many are pointing out came due to the announcement of Coinbase Custody – a new service launched by Coinbase. The staking service by the crypto-exchanging platform will start with Tezos’ PoS service. It would allow investors to delegate their XTZ token holdings in running the Tezos blockchain. The Basic Attention Token, which transacts the token transfers via Ethereum’s blockchain, made its debut in the cryptocurrency industry with the target of resolving present marketing and advertising issues with which individuals have to deal with in the particular industry. BAT has been designed to bring efficiency in the marketing and advertising industry. The digital token, BAT is exchangeable among publishers, advertisers as well as users. Per time of writing the BAT is increasing for 13.56% against the US Dollar only in the last 24-hours.